The Greek government has formally requested a third international bailout to help pay its debts, and prevent economic collapse and ejection from the euro. 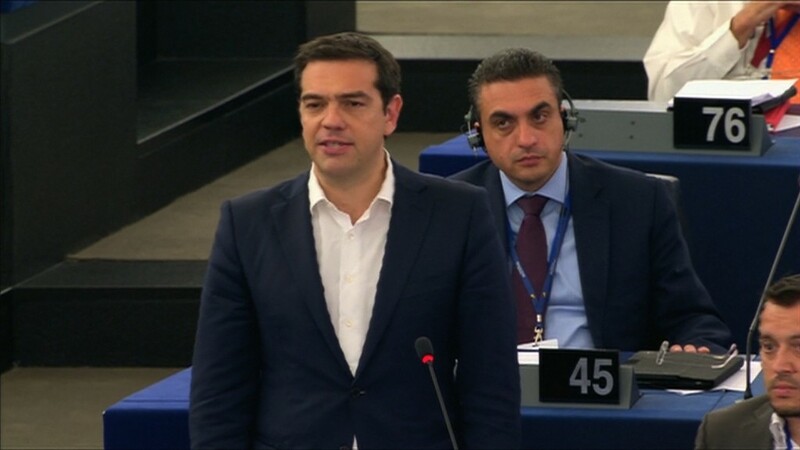 The European Stability Mechanism, which acts as Europe's financial rescue fund, confirmed Wednesday that Greece has applied for a new bailout package. Greece has already received two massive bailouts worth roughly 240 billion euros ($265 billion), but needs more. The latest bailout program ended last week. Greece then missed a big debt payment to the International Monetary Fund, becoming the first developed economy to default to the fund. The Greek government has asked for the new rescue package to run for three years and promised to introduce fresh economic reforms in exchange for the money. It also hinted that it would like some form of debt relief from earlier bailouts. The European Union is expected to decide Sunday whether to grant another bailout program, once it receives more details about Greece's economic plans. The IMF recently estimated Greece will need at least 50 billion euros ($55 billion). But analysts say the figure will be much higher since the IMF analysis was conducted before Greek banks were forced to shut down, wreaking even more havoc on the economy. The Greek economy has nearly run out of cash. Years of overspending and mismanagement have left the Greek economy in a deep crisis. The government has essentially run out of money, banks have been closed for over a week and will remain so through Friday, and cash withdrawals have been capped for individuals and businesses. Regular people have even stopped driving because they want to conserve any cash they have. Experts say Greece could soon be forced to print its own currency and ditch the euro if leaders can't agree on a new rescue package. A 'Grexit' would be unprecedented in the history of the EU, since members join with the expectation that they will never leave. But it's been exceedingly difficult for European leaders to reach a deal with Greece -- and negotiations have dragged on for months -- because creditors such as Germany don't want to simply give the nation more money without the promise that it will get its financial house in order. 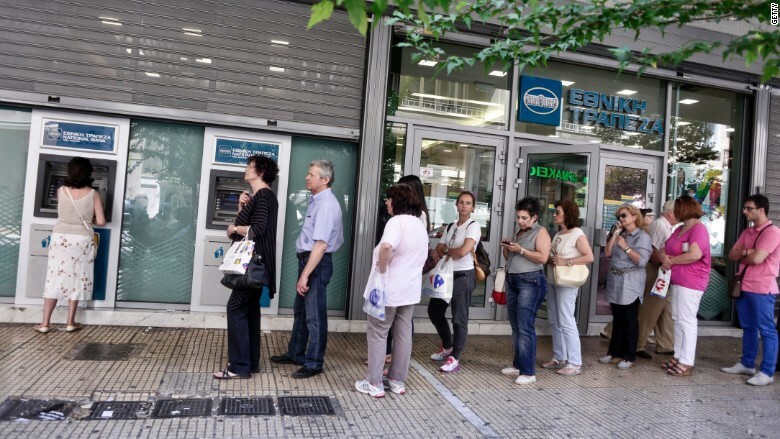 The lack of a breakthrough means Greek banks are almost guaranteed to stay shut until at least Monday. On Sunday, the leaders of all 28 European Union countries will hold a summit where they will ultimately decide Greece's fate in the euro. They warned that any bailout deal would come with much tougher requirements than a previous deal offered, which the Greeks rejected in a referendum earlier this month. --CNN's Robert North and Chris Liakos contributed to this report.